A new “solar sharing network” called Yeloha just got its start in the US. Its goal is to facilitate connections between those looking to purchase solar power and those who are already making it. 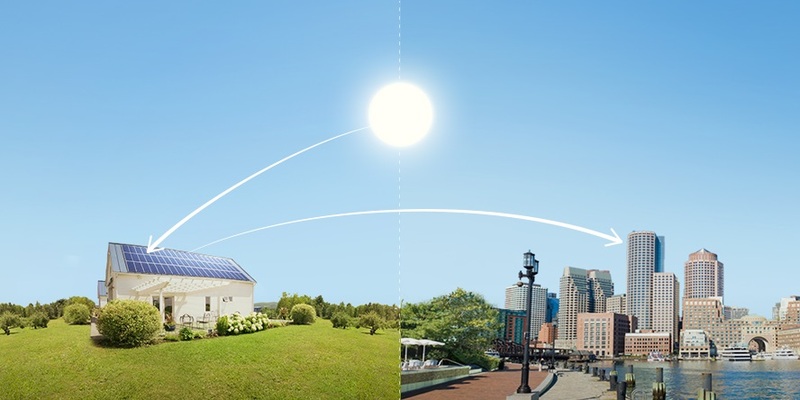 If you want solar power but don’t have a roof to fill up with solar panels, you have options. You can get involved with a community solar project, and share panels with your neighbors. You can get your hands on a SunPort plug, and buy solar power in fractions of Solar Energy Credits just like all the big corporations do. Or you can sign up for Yeloha, a new service that aims to pair up residential solar producers with potential solar consumers, like a solar matchmaker. Calling themselves the world’s Solar Sharing Network™, Yeloha is another extension of the growing peer-to-peer “shared economy,” where individuals trade goods and services with each other instead of with bigger corporations – things like car-sharing through Uber, or arranging short-term rentals through AirBnB. Yeloha launched in June across Massachusetts and hopes to expand the service to the rest of the United States over the next few years. With solar production and demand both on the rise, it’s a hot market. Massachusetts has a high cost of living compared to much of the nation, and much of that cost goes to energy bills. With solar’s cost-cutting appeal, more and more residents are interested in buying their power from a cheaper, greener source. To get started as a sun partner, you give Yeloha your zip code and they will find you sun hosts with panels available for “purchase” at the cost of $65 a year. Depending on how many sun hosts and partners are in their network at any given time, the number of panels available to you can vary. If none are available when you’re signing up, you’ll be offered an option to reserve a future solar panel, so that when a new sun host signs up to the service, you’ll be on the waiting list. Once you’re hooked up with a solar producer, you’ll receive energy from your regular utility, but a portion of that will be coming from the solar panels you now share. If you’re on the other side of the solar-sharing equation, with space for solar panels on your roof, Yeloha will happily sign you up as a sun host.Their website tells prospective sun hosts that solar panels will be professionally installed at zero cost to the homeowner. They’ll deal with the necessary permits and act as brokers of your solar energy credits. Now, you won’t get to keep all of the power you’re producing – most of what you’re making will be poured into the Yeloha network for others to buy. But you’d still be getting a discount on your energy and helping others to do the same. Yeloha is betting on enough people being interested in greening up the world to make their system work.